"POWERFUL, AUTHENTICALLY FUNNY, AND WISE"
As a world-renowned physician, highly demanded speaker, and the Chief Medical Consultant of The Dr. Oz Show, Dr. Roizen inspires audiences worldwide, providing revolutionary information on how to live healthier, longer more vibrant lives. 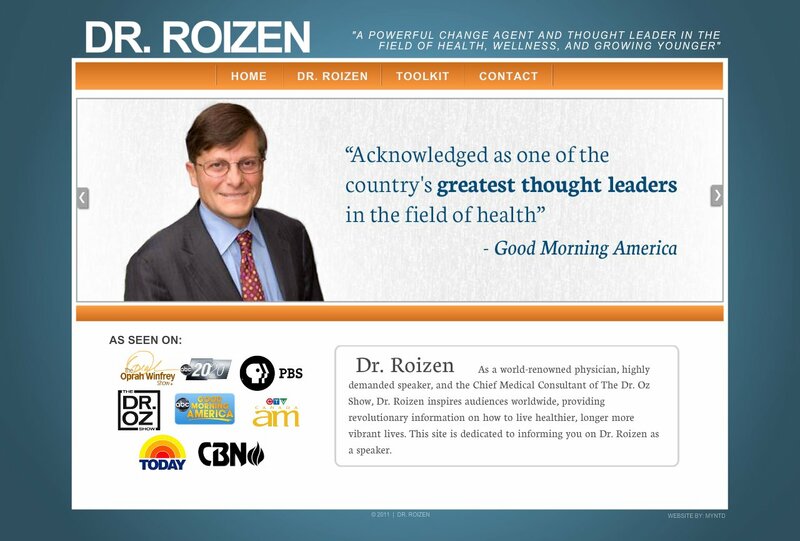 This site is dedicated to informing you on Dr. Roizen as a speaker. "A POWERFUL CHANGE AGENT AND THOUGHT LEADER IN THE FIELD OF HEALTH, WELLNESS, AND GROWING YOUNGER"